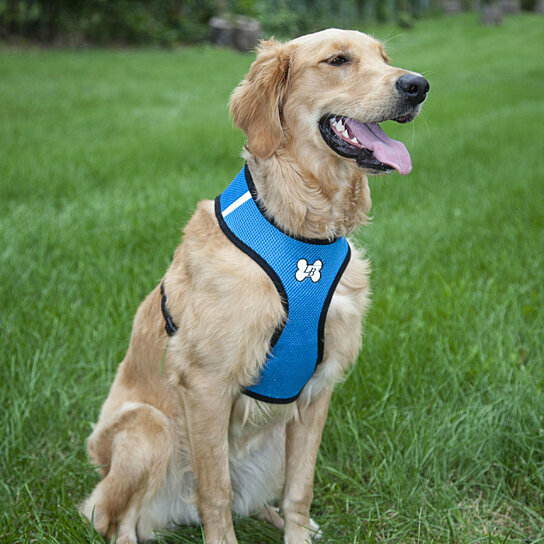 Comfort Padded Mesh Dog Harness is lightweight, breathable, and safe for your dog. Fastened by a quick release tummy strap, this pet harness significantly reduces tress on your pet's neck and is a great alternative to a standard collar. The padded harness also comes with a durable, matching leash that attaches to the D-ring on the harness.